In 1936, the Texas Centennial year, the idea of an annual Coleman Rodeo began its inception. Nine businessmen wanted to do something special to celebrate Texas's 100th anniversary. On March 20, 1936 the following men organized the Coleman Rodeo Association:Joe Hedleston, Hoyt Craig, Ernest Bridwell, John Bost, John Grammer, Andy Isham, Harold Kinney, B.B. Nunley and Sam T. Cobb. The ideas of these men brought the Coleman Rodeo to life as an annual summertime event. Just as it is today, producing a rodeo required capital. So, the club membership was increased to 25 and each member was responsible for $50 to be used in putting on the rodeo. The added members included: Fermage Cavanauh, Carl Jeanes, Walter Gordon, Frank Lewis, Jack Gordon, Ralph Duncan, Jack Barker, J.B. Hilton, Louis Haas, R.R. Shipman, W.P. Stobaugh, Herbert Shore, Jim Holman and John Pool. These 25 men are the charter members. In addition to the $50 membership fee, all these men signed a note at the bank to help finance the first rodeo. The 1936 rodeo was successful, so plans were immediately launched for more rodeos to follow. In the early years, the rodeos were held at the Coleman High School football field. The continued success of the early rodeos spawned an interest in building a new rodeo facility. In April 1947, the membership agreed to purchase 38 acres of land south of the city of Coleman where and eventual arena with grandstands would be constructed. In addition to the arena, a livestock show barn and recreation building (breeder-feeder building) were added shortly later. As time went by,more improvements were made. In the 1950s, a water line and perimeter fence were built. In the 1960s, a row of beautiful pecan trees and a big horse barn were added. Then in 1971 an outdoor dance pavilion was built. As the Coleman Rodeo grew, so did its membership. The original 25 members have grown to 145 strong. Today, these men still strive to put on a great summertime show. During the early years, the annual rodeo was an opportunity for people in the county to socialize and renew old acquaintances. Back then entertainment was much simpler and certainly less diverse. Today during the era of cyberspace and digital television, the Coleman Rodeo still retains the same old traditions. 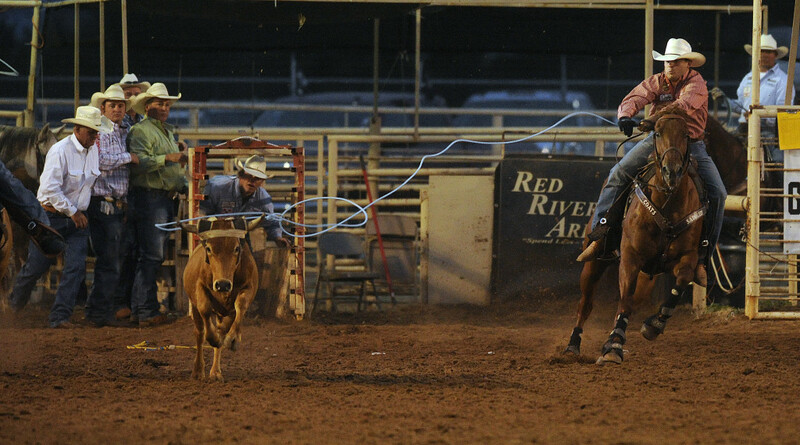 A number of family and high school class reunions are planned around the date of the Annual Coleman PRCA Rodeo. As we continue to improve our rodeo, one thing we will never is the idea the charter members began - the age-old tradition of summertime Rodeo under a big Texas sky.